Jonathan is a member of the College of Optometrists, Association of Optometrists and British Contact Lens Association. He graduated from Aston University in 1996 with an honours degree in Optometry and was awarded a first for his elective work in cortical function. He completed his clinical training at London’s Moorfields Eye Hospital and the Institute of Optometry and went on to complete higher exams in the fields of paediatric optometry, therapeutics and specialist contact lenses. Jonathan has worked as a visiting lecturer in the children's clinic at City University, taught several post-graduate students in private practice and acted as optometric consultant on film and television productions. He set up a diabetic retinal screening program with a group of South Camden Doctors and was a founder member of the Islington minor eye conditions scheme and the Camden cataract shared care scheme. 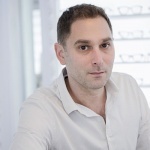 Jonathan founded The Kings Cross Eye Clinic in 2006 and took over ownership of Zack Contact Lenses in 2007, later merging the two companies to form Zacks London Eye Clinic. Jonathan has been awarded numerous 'Optician Awards' for embracing the latest technology in his clinical work within the practices, though it was additional specialist work in the community, that culminated in the most prestigious award of 'Optometrist of the Year'. Jonathan lives in London with his wife and three young children. In his spare time he plays jazz piano and tries to keep fit. 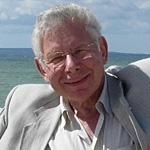 Maurice Zack graduated in 1959 with diplomas from the British Optical Association and the Worshipful Company of Spectacle Makers (now the College of Optometry). He went on to specialise in contact lens practice at City University and the London Refraction Hospital gaining the advanced diploma of the British Optical Association (DCLP) in 1966. He started his own practice in 1968 and settled in Warren Street where he continued to practice as a contact lens consultant at Zacks Eye Clinic. Maurice has performed numerous clinical trials to facilitate the research and development of contact lens products, published several clinical papers and lectured widely at both UK and international meetings. He remained an active member of the International Society of Contact Lens Specialists and the British Contact Lens Association until his retirement at the end of 2013. These days Maurice splits his time between London where he has regular 'Grandpa duties' and Bournemouth for some well deserved 'R&R'. He pursues a variety of hobbies and interests and keeps in regular contact with the practice. Michaela is a member of College of Optometrists and Association of Optometrists. She graduated from the University of Manchester Institute of Science and Technology (UMIST) in 1988 with an Honours degree in Optometry and completed her clinical training at Moorfields Eye Hospital and The Institute of Optometry in 1989. After qualifying she spent time as a Research Assistant at the School of Optometry, The University New South Wales, Sydney, Australia as well as working with Vision Aid Overseas in Tanzania and at The F.I.S.H Eye Clinic, Kingston, Jamaica. Recently Michaela became a founder member of the Camden cataract referral scheme. Michaela has worked at the company for over 20 years. She started out at Johnson's Opticians in 1994 and transferred to Warren Street in 1997 when Johnson's merged with Zacks. She lives in London with her husband and teenage boys and in her spare time works as a jewellery designer. Andrea is a member of the College of Optometrists and Association of Optometrists. She graduated from City University in 1998 and went on to take higher qualifications in glaucoma, diabetes, low vision aids, binocular vision and paediatric optometry. 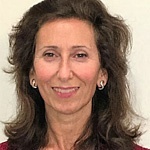 Andrea has spent several years working in private practice and also has considerable experience teaching post-graduate and under-graduate students. She is currently lead clinician in the Paediatric clinic at City University and spends the majority of her time teaching there, with two days a week in practice at Zacks. Andrea Joined Zacks in 2016. She lives in London with her two teenage children and in her spare time she is completing a Masters degree. 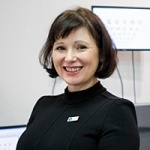 Neena graduated from City & Islington College with a diploma in Ophthalmic Dispensing and qualified in 1998, becoming a fellow of the Association of British Dispensing Opticians and proceeding to take higher exams in contact lens fitting. After qualifying, Neena worked for three years as branch manager for a large UK multiple before finding her niche managing leading independent practices situated in London’s exclusive Mayfair and Chelsea neighbourhoods. Neena specialises in presbyopic and paediatric dispensing. She has extensive specialist knowledge in the fields of ophthalmic lenses, frames, bespoke eye-wear and glazing. 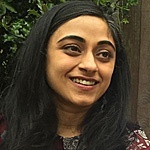 Neena originally joined Eyes For You Opticians in South Molton Street as a dispensing manager in 2004 and transferred to Zacks Eye Clinic in 2010, when the companies merged. She lives in London with her husband and two young boys and in her spare time she likes keeping fit. 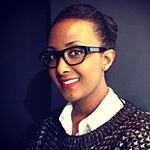 Helen graduated from City and Islington College in 2006 with a diploma in Ophthalmic Dispensing. Helen has mainly worked in top independent practices in London and previously managed the flagship Kirk Originals practice in Mayfair. Helen specialises in bespoke eye-wear and has extensive knowledge about unusual spectacle frames. Helen has worked at Zacks since 2008. She lives in London with her husband and daughter and in her spare time she enjoys cooking fusion cuisine.